It hasn't been an easy road for Twitter. The social network has run up against years of flat growth, has a history of letting abuse slide and struggles to quell terrorism. Now, rumors are swirling about a possible acquisition, which may or may not be a bad thing. Just a few days ago, we reported that Google and Salesforce were looking into potentially purchasing Twitter, and today, rumors pegged Disney as another possible suitor. Anonymous sources "familiar with the matter" speaking with Bloomberg say Walt Disney Co., which own media properties like ESPN and ABC, is working with a financial adviser on a possible bid. Twitter CEO Jack Dorsey serves on Walt Disney Co.'s board of directors, so the connections are deep. 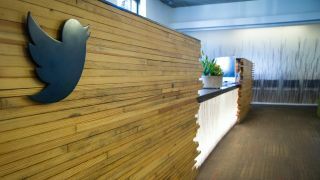 There are other parties, such as Microsoft and Verizon, reportedly interested in Twitter, though both are thought to be less interested due to recent acquisitions that may prevent them from putting down the cash. Verizon recently purchased Yahoo for $4.83 billion (around £3.7 billion, AU$6.4 billion) and Microsoft already spent $26.2 billion (around £188 billion, AU$34.4 billion) to buy social network LinkedIn earlier this summer. But why would anyone want to buy Twitter, which has carved out a unique and oftentimes contentious niche for itself on the internet? Let's take a deeper look. For Disney, the primary benefit of buying Twitter would be access to a video distribution platform. Twitter has long championed live coverage of events, such as tonight's first US presidential debate. Disney's largest business, cable TV, is losing viewers because of increased competition from streaming services like Netflix and Hulu, according to CNN Money. By buying Twitter, Disney would not only gain a means of distributing video, but also a sales and marketing platform where it could directly communicate with customers, according to Bloomberg Intelligence Analyst Paul Sweeney. For Google, purchasing Twitter would finally put to bed its failed social media platform, Google+. Google has actually tried to buy Twitter several times, but now with the social network floundering, it could be the perfect opportunity for the search giant to swoop in for a discounted price. Twitter lends itself naturally to Google's products as well. TechCrunch's Josh Constine suggests integrating Twitter into YouTube as a place for community engagement is a logical move. Plus, Twitter's advertising and search platforms would easily feed into Google's other products. Even though there are a number of good points in Twitter's favor, there are plenty more reasons why buying the social network would be a terrible idea for any company. Would a company like Disney, known for its family-friendly ideologies, really want to take on Twitter's often toxic community? And if Disney wanted to communicate with customers directly, wouldn't it already be doing so on Twitter? Even Bloomberg itself is skeptical a Twitter purchase would make sense for its stockholders. The publication quotes Oppenheimer Holdings Inc. analyst Jason Helfstein, who says Twitter's stock would under perform after a sale "based on slowing user growth, poor product implementation/execution, decreasing user engagement, inferior advertising technology, platform safety issues, and strong competition." Then there's the issue of price. While Twitter's stock is trading at near its all-time low, it still retains a $16 billion market cap, according to Yahoo, which isn't exactly chump change. Plus, Twitter still seemingly has no solutions for its problems of user engagement and retention. Its Moments feature was a good start, surfacing content you may have missed, but it doesn't really keep users hooked to the service. Perhaps the bigger, more philosophical question is if we even need Twitter. Social networks are a dime a dozen. Facebook currently owns the market, with Snapchat nipping at its heels with a younger demographic. There are also plenty of chat apps like iMessage, LINE, WhatsApp, Hangouts and many others that keep us connected. On the other hand, Twitter has become a crucial part of our collective voices. It's where revolutionaries came together to initiate the Arab Spring. It's where we find breaking news as it happens. Its trending section gives us a look into what's being talking about at any given moment. With new TV deals, Twitter is branching out into broadcasting with sports and politics. And it gives everyone a far-reaching platform on which to express themselves. But all of that might be moot if Twitter is sold and turned into something unrecognizable from its original form. Whether that happens anytime soon remains to be seen.